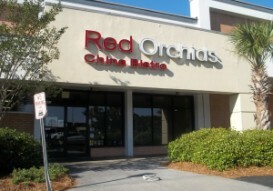 This is my take on our favorite meal at our favorite Chinese restaurant in Charleston, Red Orchids. If you are from around here, you have to try this place. It's yummy, authentic goodness. It was voted Charleston's Best Chinese. Yes, it is located in between a Big Lots and Cititrends, but don't let the location discourage you! I'm pretty sure the professionals at Red Orchids steam their chicken, but that scares me. Theirs is delicious, but I don't know if I could pull off steamed chicken. So, I marinated mine and stir-fried it. The five spice blend is what makes this so amazing. It consists of cinnamon, star anise, fennel, peppercorn, and cloves. You can buy it premade at the grocery store. I made two batches of the marinade, one for the chicken, and then a second to quickly toss the veggies in before stir-frying them. Whisk together all of the above ingredients for the marinade. Add the chicken and marinate for at least an hour, up to over night. Add chicken to Wok (or large frying pan) and cook over med-high heat, discarding used marinade. While chicken begins to cook, toss veggies with the second batch of marinade to coat. After about 5 minutes (or once chicken begins to brown), add the veggies to the chicken, cover, reduce heat and cook another 5 minutes or so, until chicken is cooked through and veggies have desired tenderness. Serve over brown rice. Red Orchid is so amazing! Can't wait to try this! This looks so unique and delicious! I should try this one later for my kids lunch because they love eating stir fry! I'm sure they will love this a lot!